On his time off during the NFL off-season, a Roncalli High School graduate spent his days doing research and delivering reports to a United States Senator. (ODON) - Artisan Electronics has been nominated "employer of the year" by Indiana INTERNnet for its student internship program. Internship programs must be viewed as a commitment between an organization looking to meet its needs and a student working to gain real-world experience. 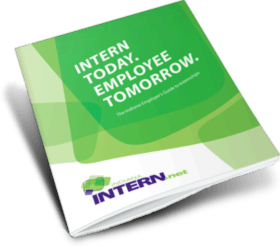 All internships should include: a recruiting and hiring process; structured onboarding; an assigned supervisor and mentor; evaluation and assessment; and constructive offboarding. Over the summer, Hannah Partridge, a senior Creative Writing major at Ball State University, spent the summer interning with Wiley Publishing in Fishers. This summer, Indiana INTERNnet hosted intern networking events at The Children’s Museum of Indianapolis and the Indianapolis Zoo. Both offered entertaining educational and networking opportunities – and we’re not done yet! Interns will gather at the Indiana State Fair on August 5 for our final summer event. Indiana INTERNnet, the statewide resource for internship opportunities managed by the Indiana Chamber, will host a series of intern networking events this summer to encourage community engagement. Two local non-profits have been named as recipients for funding to host interns through Nonprofit Fellows. Interns from organizations throughout Central Indiana are invited to a series of events this summer organized by Indiana INTERNnet. Each will offer professional development and networking opportunities in addition to time to explore the venues. Capacity is limited and registration is required. At first, Angie Hicks wanted to be an actuary. Then she interviewed for an internship with venture capitalist Bill Oesterle, and the rest is history. Hicks, a Fort Wayne native, credits that internship as the stepping stone that led to her success at Angie’s List. She so impressed Oesterle as an intern that he asked her to join him in co-founding Angie’s List in 1995. Today, the company serves more than three million paid households, delivering an e-commerce marketplace as well as reliable consumer reviews covering everything from home improvement to health care. Last summer, one of five interns at Kauffman Engineering’s Lebanon, Ind. plant undertook a time and motion study of our shipping cell, examining ergonomics and employee movement to design a workstation with a footprint reduced by 20 percent. The new design increased productivity and efficiency and was a hit with the permanent employee who works there. Even though it’s the middle of winter, students are searching for summer internships now. It’s a good time to post your summer openings and begin recruiting talent. On Giving Tuesday, we ask you to consider financially supporting Indiana INTERNnet. With your generous gift through a tax-deductible donation to our 501(c)3 nonprofit, we will be able to continue our work connecting employers with interns free of charge, as well as supporting Indiana’s workforce development strategic plan. The Indiana Chamber’s June 2015 Indiana Vision 2025 Report Card states: “The No. 1 priority for Indiana must be a re-evaluation and reinvestment in our people, their knowledge and skills.” Indiana INTERNnet is working with state leadership to help meet ambitious workforce development goals focusing on experiential learning, such as increasing the number of internships available to Hoosiers by 10,000. Not only are work-and-learn experiences a necessary component of each individual’s career pathway, but a more skilled workforce is crucial for the success of Indiana. It's a crucial season for employers trying to convince students they should stay in the South Bend area after graduation. Local organizations have stepped up their efforts in the past few years to make more internship opportunities available and help interns realize what the region has to offer. College campuses across the country will bring their school year to a close over the next several weeks. Students are busy preparing for final exams and completing their plans for summer. For many, the decision to come home for the summer may be driven largely by what internships and other job opportunities exist in our area. Indiana INTERNnet plans to implement a three-year plan to strengthen its services, encourage more participation and improve networking among employers, colleges, universities and students, officials announced Friday. Offering a high starting salary, plus great benefits? That may not be enough to help your organization woo its top candidates. Results of NACE’s 2010 Student Survey show that job location—specifically, the job’s proximity to the new grad’s family—plays a big role in determining whether a job offer is accepted or rejected. In 2008, EMC Corp. recognized that, for the first time in modern history, its work force was comprised of four distinct generations—Traditionalists, Baby Boomers, Generation X, and Generation Y—that bring unique perspectives, experiences, and expertise to the business. Which items are most likely to appear in a college recruiting budget? Results from NACE’s 2010 Employer Benchmark Survey show that expenditures for career fairs, giveaway items for those events, and travel expenses top the list, appearing in the budgets of approximately 90 percent of respondents. Branding the organization to campuses is the key focus of most college recruiting programs, and the career fair appears to be the most effective tool to achieve that goal. The following, based on observations gathered over several years, is intended to increase recruiter effectiveness at career fairs and therefore increase the organization’s ROI.